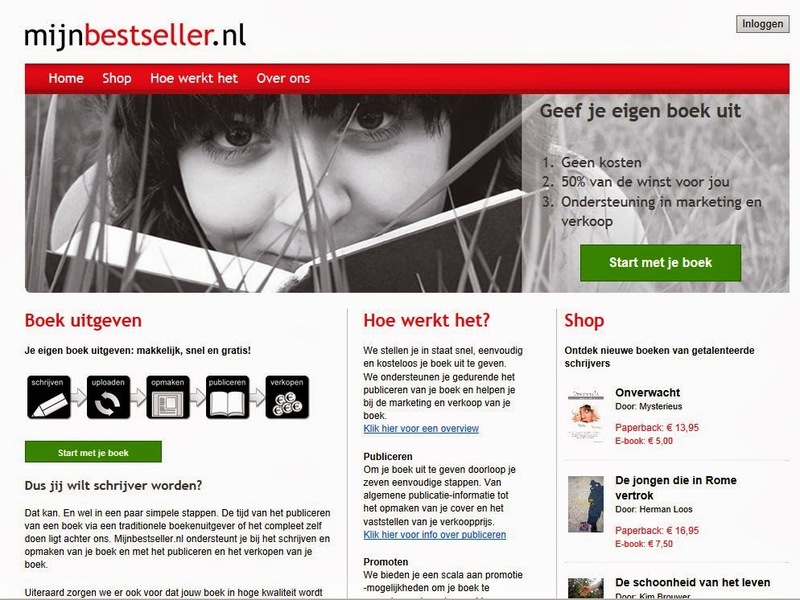 Mijn Bestseller (My Bestseller) is a DIY self-publishing platform for authors and a provider of white-label publishing solutions to third parties. Based in Rotterdam, the Netherlands, the online company was founded by business and technology entrepreneurs, Peter Paul van Bekkum and Robert Bosma in 2010 and has published more than 4500 titles. In just four years van Bekkum and Bosma have established Mijn Bestseller as the leading self-publishing platform in the Dutch market with mijnbesteller.nl, and in Germany with meinbestseller.de. Their UK brand, mybestseller.co.uk, is currently in beta form (test mode only) with a full launch coming before this summer. The Mijn Bestseller commercial entity actually includes more than twenty other publishing brands in various different arenas, including the academic, education and business publishing sectors. Perhaps the company’s biggest coup came last year when it formed a strategic partnership with Dutch publishing house, Singel Uitgevers, agreeing to provide the publishing engine for Bol.com’s self-publishing platform, Brave New Books. Bol is the largest online non-food retailer in the Netherlands and Belgium and something of an equivalent to Amazon when it comes to the book retail market in these regions. 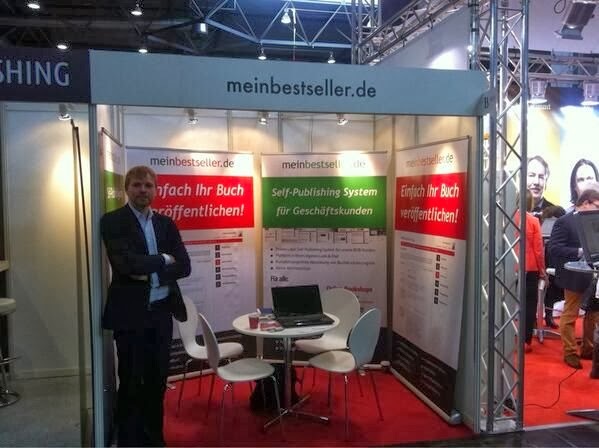 Like most self-publishing platforms, Mijn Bestseller offers its authors the possibility to publish their books through print-on-demand (POD) and in e-book form, or a combination of both, and the books are sold through the company’s partner distribution channels, via author website plug-ins, and with the help of basic social media marketing tools. Authors can place bulk orders for books, printed via short and medium digital print runs (up to 300 for B&W and 400 for illustrated). Mijn Bestseller will also provide authors with an offset option for larger print runs above these print run figures. One of the biggest areas of expansion recently for the company has been b2b (business-to-business) solutions. The company offers white-label solutions (their publishing platform engine) to third-party businesses like small-to-medium publishers, bookstores, media outlets, educational institutions and other kinds of content businesses. We offer companies our publication platform as a private label for their own use. Interested parties may use their own look and feel. The conditions are agreeable: we consider that both parties should enjoy the cooperation equally. When you decide to use our platform as a publisher, you start earning money from the first sale of a book. Wij stellen bedrijven in staat om ons publicatieplatform als white label te gebruiken. Je beschikt dan over je complete publicatie platform in je eigen look and feel. Tegen uiterst aantrekkelijke condities: ons standpunt is dat we beiden in gelijke mate van de samenwerking moeten genieten. Als publicerende partij verdien je vanaf het eerste verkochte boek. 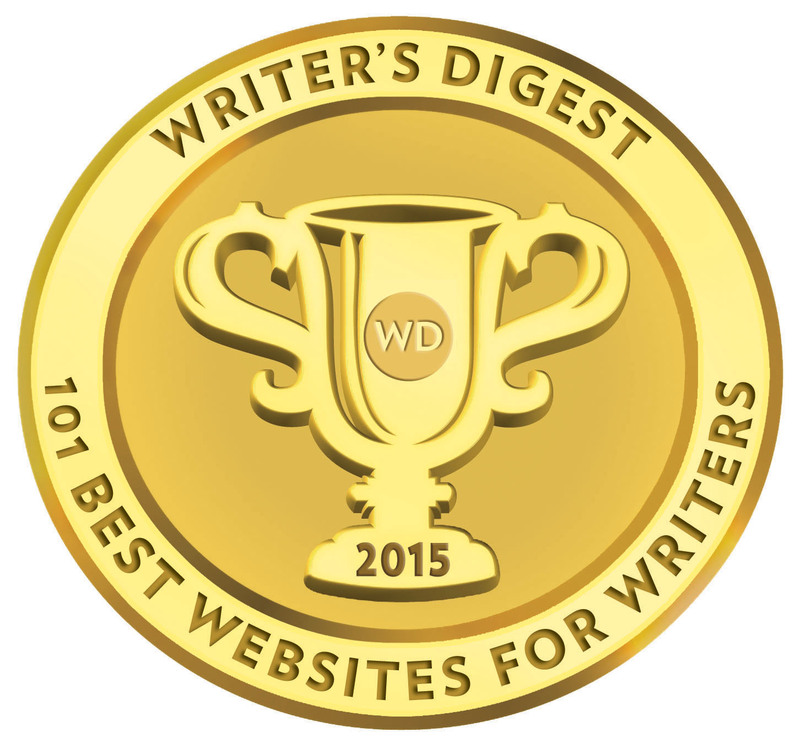 So, what can Mijn Bestseller offer authors? 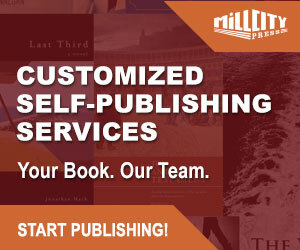 We are an online book publishing company that allows you quick, easy and free [publication] of your book (and e-book). We support you during the writing and formatting of your book and help you with the marketing and sales of your book. […] Our philosophy is that it should be possible to provide a book for everyone. We want to encourage reading and writing in general. [We don’t provide] classic editorial that determines how your book should be written, and that [traditional publishers’ approach] determines what is attractive to the consumer. We assume that you … are able to determine what is in your book [that makes it attractive for readers] and how you write it. We assume that the consumer can decide which books are interesting. Wij zijn een online boekenuitgeverij die jou in staat stelt snel, eenvoudig en gratis je boek (en e-boek) uit te geven. We ondersteunen je gedurende het schrijven en opmaken van je boek en helpen je bij de marketing en verkoop van je boek. […] Onze filosofie is dat het voor iedereen mogelijk moet zijn om een boek uit te geven. We willen het schrijven en lezen in brede zin stimuleren. Waar traditionele uitgeverijen vanwege het hoge kostenniveau uiterst selectief zijn in het uitgeven van boeken, geven wij alle boeken uit. Dat betekent geen klassieke redactie die bepaalt hoe jouw boek moet zijn geschreven en die bepaalt wat aantrekkelijk is voor de consument. Wij gaan ervan uit dat jij zelf in staat bent om te bepalen wat er in je boek komt en hoe je dat opschrijft. Wij gaan ervan uit dat de consument zelf kan bepalen welke boeken interessant zijn. Mijn Bestseller currently employs eight staff from various sectors of the media world and plan for further expansion this year. Our team consists of enthusiastic, experienced people from the media world. Our goal is to support the publication of your book […] in a way that you also maximise benefit: we share the profits and we will help you with all the steps in the writing process. We will only earn if you sell books. In this way, we aim to become the largest publisher of niche books in the world. Ons team bestaat uit enthousiaste, ervaren mensen uit de mediawereld. Ons doel is jou optimaal te ondersteunen bij het uitgeven van jouw boek. Op een wijze dat jij er ook maximaal van profiteert: we delen de winst en we helpen je bij alle stappen in het schrijfproces. Wij gaan pas verdienen als jij boeken verkoopt. Op deze manier streven wij ernaar om de grootste uitgeverij van niche boeken in de wereld te worden. Heb je vragen of verbetersuggesties? Aarzel niet en neem contact met ons op. Certainly Mijn Bestseller is not short on a vision of where they see the company developing. Ultimately, the company plans similar online publication platforms for authors and publishers in France, Spain, Italy and Poland in the coming years. I’m always wary of making too many like-with-like comparisons when it comes to DIY self-publishing service platforms because every platform has its advantages and disadvantages. Mijn Bestseller’s business model probably resembles Lulu, Blurb or Fastpencil, but without as many bells and whistles. Basic publication for a print or e-book comes with no upfront cost for authors with a print ready book file and cover. While there is no obligation for authors to include an ISBN for their books, distribution and sales will be restricted to Mijn Bestseller’s online bookstore and the author’s website without one. All books must have an ISBN for distribution to external sales channels like Bol and Amazon. Mijn Bestseller does not offer the author the option to use their own block of ISBNs time. You must register an account with Mijn Bestseller before uploading a book file. This includes bank account details along with standard registration details like user name, email address and author bio information. All new author accounts automatically qualify for a ‘free’ website with a blogging facility, but this website is hosted within the Mijn Bestseller platform. Authors have the option of listing and linking their own existing website if they already have one. From here on in, like other similar DIY self-publishing platforms, users (authors) will then have access to a personal dashboard where they can begin the book management and file upload process. Authors will also have access to personal book orders, a sales report and hosted website (if you opted in for one). I’m not going to go into any real detail about the author user dashboard, other than to say, like all the Mijn Bestseller branded websites overall (Dutch, Germany and other brand websites), it is simple, neat and very easy to navigate around. While you can change details prior to publication, be aware that the detailed information you input will be used on your book’s back cover copy, sales information pages, and also on the automated press release Mijn Bestseller generate for the promotional stage. Detailed manuscript preparation information is provided here, and authors can download pre-prepared and formatted interior templates in MS Word from the website along with cover templates. These templates are also accessible from the user dashboard. Note: you can opt in to purchase a Mijn Bestseller ISBN at this stage (the cost is €12.75 per ISBN). Without one, you cannot publish your book to external sales channels. What I most appreciated about the load-up and production phase on this platform was the ability to also load an e-book as well for publication. Mijn Bookseller does advise to only load e-book files in basic form for conversion to e-Pub. (Kindle Mobi and iBookstore will be available in the UK at launch.) Equally, producing an e-book also gives you the same option to consider the e-version for publication, although both processes could still be better integrated. It’s something IngramSpark has also been perfecting with their publishing platform launched last year. An author has three options as to how he/she wants to publish their book. Your book is available worldwide. Your book is available on your own website (which you can easily create on any international Mijn Bestseller platform) and in the company’s website bookstore. In addition, the book can be sold in bookstores and websites like Bol.com, Amazon etc. (ISBN required). 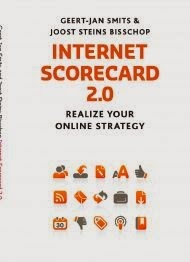 Depending on your marketing activities (see marketing steps) your book can be sold on a variety of other Internet sites. Your book is available for purchase only through the webstore and your author website (either on the Mijn Bestseller website or externally linking back to the company webstore). Wider sales channels can be added later. Nobody can buy your book. Your book is not available for purchase by customers anywhere. The author can purchase copies of his/her book. I tested the upload tool and I was impressed with its speed and smoothness. A perfectly formatted PDF file came out the other end without a glitch and without any software-induced crazy paving so prevalent in other DIY self-publishing platforms. Likewise, I deliberately loaded an MS Word document, perfectly formatted, but larger than the trim size I originally specified, and yet the Mijn Bestseller platform resized it perfectly to the correct specifications. Not bad at all. I felt the cover creation tool was a little clunky, and a little limited on what you might ideally want if you relied on the templates, but with a little time and work, I could create a fairly presentable cover using my own uploaded image files. After the upload, cover design and publishing options, authors have to consider the pricing options. Mijn Bestseller say retail pricing is flexible and the author can set the retail price for the sales channels. For me, as much as I think authors will have a positive experience with the production software (and I stress this is DIY self-publishing—you need to have a manuscript and file professionally edited and formatted or contract Mijn Bestseller for those services or another external professional services—these will be add-on fees), the wheels began to fall off the wagon at this stage. 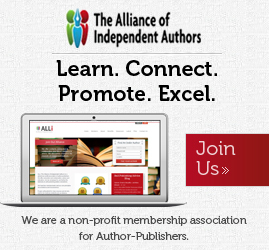 We earn money as soon as our authors start selling books. Per book sold we keep the same margin as you would. Furthermore we only charge the actual printing and transaction costs (iDeal, credit card, PayPal). We present an open calculation: you can always see how the price of the book is construction, how much royalty you will receive and how much we earn ourselves. Hoe verdienen jullie je geld? 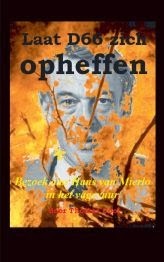 Wij verdienen zodra onze schrijvers boeken verkopen. Per verkocht boek houden we een marge in, die gelijk is aan jouw marge. 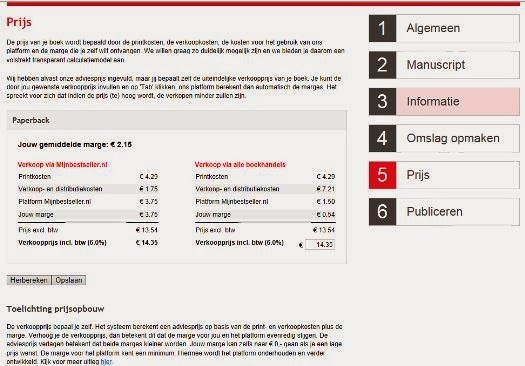 We berekenen verder slechts de werkelijke printkosten en transactiekosten (IDEAL, creditcard). We werken met een open calculatie, dus je kunt altijd zien hoe de prijsopbouw is, hoeveel je zelf verdient en hoeveel wij verdienen. The share of profit is set at 50/50 (after print, retailer discount and admin costs). Though working on retail price, many other self-publishing platforms set their % profit share a lot higher in favour of the author. Mijn Bestseller says its authors should take approximately 30% of overall sales profit, but for me, this is where things begin to unravel a little. Let’s take a look at the sample book I uploaded. Wat zijn verkoopkosten? Dit zijn kosten voor distributie. Daarnaast worden kosten berekend wanneer je extra verkoopkanalen inschakelt, zoals de boekhandel. Een deel van je marge gaat naar de verkoopkanalen. While Mijn Bestseller will allow authors to set the retail price; reducing it will impact directly on YOUR author profit, and the Sales Cost—the costs directly related to the retail distribution channels your book is available in. However, Mijn Bestseller’s profit ONLY reduces proportionately (50/50%) to your profit when you reduce the retail price for books sold within Mijn Bestseller’s web store. For external sales through sites like Amazon, reducing the suggested retail price is going to seriously eat into YOUR profits. But my biggest concerns here are threefold. 1. Print costs are significantly higher than Lightning source for books of a similar specification. On the example above, the same book charged at € 4.29 (£ 3.53) is available at £ 2.44 from LSI UK. 2. While authors can reduce the suggested retail price, there is a limit to how much. On the example above, I discovered I couldn’t reduce the retail price below € 13.35 (£ 10.97)—in line with Dutch and German retail book prices, but still way above the top end of similar priced book at just 176 page paperback on the UK market. (Note: book prices are higher in Germany and the Netherlands due to VAT). The book really needs to be priced at a maximum of £ 8.99 to be competitive in the UK market, certainly for a book of fiction. Granted, there is more flexibility for non-fiction, but self-publishing is seriously heavy on the fiction side of the market. 3. While I appreciate Mijn Bestseller being transparent on the breakdown of pricing, the cheapest an author can buy a copy(s) of their book comes with a huge mark-up from the actual print cost. In my above example, a book printed at a cost of € 4.29 (£ 3.53) is charged to me at € 10.04 (£ 8.26) per unit. I even tried an order of 100 copies in my dashboard, resulting in the same unit charge! I tried different sized books with similar results, though the problem is less so for e-book pricing. Mijn Bookseller is not on its own in regards to this when you examine the retail pricing of other DIY self-publishing platforms like Blurb and Lulu. There is always a trade-off when using publishing platforms that don’t charge an upfront cost. Ultimately, you will find to achieve any kind of an author profit, you are going to have to price your books at a higher retail price. Authors can withdraw their books from publication at any time, make limited alterations (spelling, grammar etc), but making any significant changes (adding chapters) will mean that a new edition of the book will be required. Mijn Bestseller offers all new authors a free hosted website and blog, a number of social media widgets to promote the sale of your book, an automated press release, and personalised business cards. Expanded details of what is offered can be found by visiting the Mijn Bestseller FAQs on promotion. What do the different promotion steps involve? In short (see also each individual step for all possibilities in detail): you can easily reach your relatives, friends and acquaintances; you can optimally use your social media to promote your book; you receive your own website for free; you can optimize the way people can find your book on internet; you can distribute press releases; you can offer your books for sale to bookstores and you can order flyers and business cards. We will continue to expand the possibilities! In het kort (zie ook alle individuele promotiestappen voor een detaillering van alle mogelijkheden): je kunt al je vrienden en kennissen snel bereiken, je kunt de sociale media waar je eventueel lid van bent optimaal gebruiken voor de promotie van je boek, je krijgt gratis je eigen website, je kunt de vindbaarheid van je boek optimaliseren, je kunt persberichten doen uitgaan, je boeken aanbieden aan boekhandels, je kunt visitekaartjes en binnenkort ook flyers bestellen. We breiden de mogelijkheden steeds verder uit! The hosted website is very basic and a single web page. It does not allow any redesign (outside of author logo upload and header) and blog posts appear at the top of the page. The press release is generated from the information provided by authors when creating and loading a new book project. The Mijn Bestseller does contain lots of general information about promotion, but it is just a starting point, and more suited to authors perhaps taking their first steps into self-publishing. In every market so far, Mijn Bestseller has managed to set up substantial online distribution in the countries it has expanded into. In the Netherlands, it has a contract with Centraal Boekhuis, one of the major book wholesale distributors, developed and powered the self-publishing engine for Bol’s latest ventures, and in Germany set up sales channels with Koch, Neff Volckmar GmBH (KNV). The company has also been working with Kobo in line with their European expansion. With distribution to come with Amazon and iBooks in Europe, I’ve no doubt Mijn Bestseller will also establish strong partnerships for print and distribution in the UK when its brand goes live. This is a consumer-driven service agreement. The author retains all rights other than first-publication under the Mijn Bestseller registered ISBN. I like a great deal about Mijn Bestseller. It’s a progressive company far ahead of many other European and US-based self-publishing platforms when it comes to technical development, but I have some concerns when the model used is applied to other markets outside of the Netherlands and Germany. These regions have strict rules on retail pricing and VAT, and the UK and USA markets present markets with greater competition and price flexibility. There is no doubt Mijn Bestseller has established itself as an industry leader in the author solutions market in the Netherlands, Belgium and Germany, but I feel it particularly appeals to first-time self-published authors for its ease of use and general support. It’s more seasoned self-published authors who might find Mijn Bestseller less appealing. I just don’t see the flexibility in retail pricing that many entrepreneurial authors will look for, and the lack of support for author-owned ISBNs is a serious omission from the platform regardless of the complexities that might introduce for the solutions provider and their distribution network. Without doubt the single biggest turn-off is on books purchased by the author. There simply is no incentive for an author to purchase small bulk stocks of their books (1-100) for promotional purposes and appearances if they are going to be charged more than double the manufacturing print cost per unit. It’s simply not commercially viable for any author. Mijn Bestseller may provide some negotiable white-label contract options for the well-established author with his/her imprint. While the Dutch and Germany self-publishing markets may be less developed than the US and UK markets, I think Mijn Bestseller will find it far more difficult to make their current model work in the UK. The demand for print self-publishing is still very strong there, but it’s dominated by some very sophisticated players like Matador, Silverwood and Acorn—all offering bespoke and heavily author-assisted services—and that’s before even taking into account the global DIY e-publishing platforms like Amazon KDP (not natively available in the Netherlands), Smashwords, the ever-expanding Kobo European operation, the newly established IngramSpark (Ingram are planning big inroads for Ingram Publishing Services in the UK), and not forgetting Amazon’s print operation, CreateSpace. I’ve seen many print-centric self-publishing players expand into the UK from the USA, one or two from mainland Europe, but I’ve yet to see one really crack the market open. It will be interesting to see how Mijn Bestseller handle the UK this year, but I think its model needs some tweaking, particularly when it comes to the additional services it offers and pricing margins. PROS—Highly efficient publishing engine, established partnerships in mainland Europe, digital and offset print options, b2b white-label solutions, no upfront costs for authors, free basic website and promotional tools, automated press release. CONS—High unit cost for author-purchased books, lack of flexibility on retail unit price, no support for author-owned ISBN, limited royalty on external sales channels without impacting on retail price. UPDATE: OCT 2016 – Mybestseller partner with Jouve. Very clear and detailed information. Thanks.